bid to take the newborn chicks home to foster for their first few weeks. They then are returned to us and farm life continues. 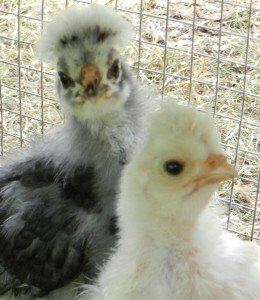 We also had the addition of four new fancy chicks, breeds that included the Polish variation with their “poofy” headdresses and Araucana which lay the green/blue eggs. 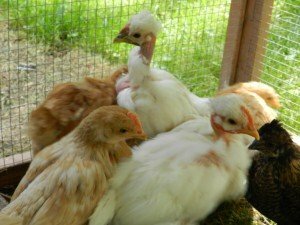 Lady Gaga 2 and Princess Diana are truly unique and add character and color to the naked necks and cochin/silkie mixes that already are on the farm. 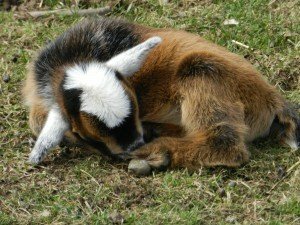 Earlier this spring we also had three new Nigerian dwarf goat kids born on the farm. 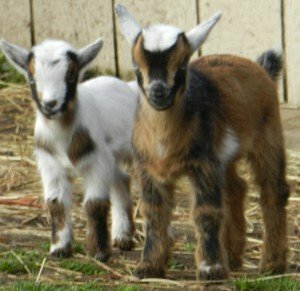 The two buckings, Billy the Kid and Jacque and the doeling, Primrose are getting into a lot of mischief but are a true pleasure. These kids are available for sale to a proper home.